Today is storm day. Literally. We decided to visit Cracker Barrel for a casual breakfast and plan our day. Just as we finished breakfast, Carol heard a loud thunder-clap. 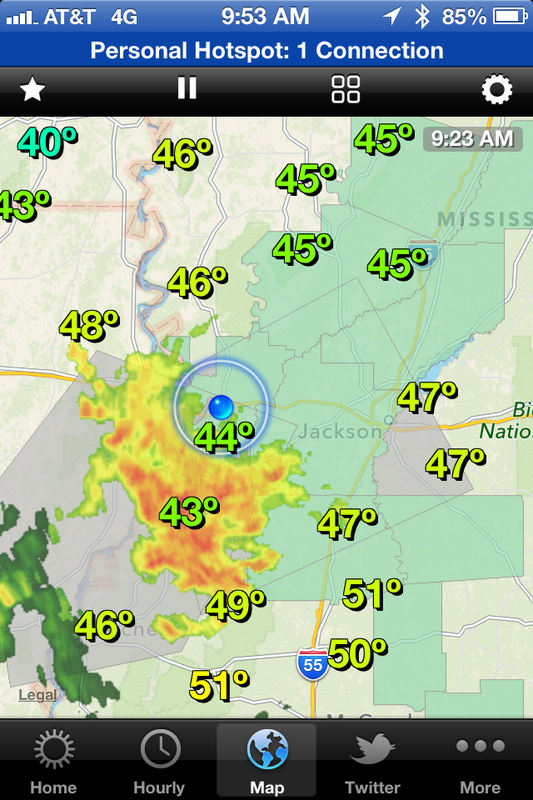 Here is what my weather app reported. We will be staying put for about 30 minutes. More on our stay in Vicksburg at the end of this post. So far our trip has been good. We left Ledbetter Monday morning around 9ish, stopped at Whataburger in Giddings for breakfast, then headed to Temple. We met up with Carol’s Aunt/Uncle, Glenda and Ron, for lunch at the Cotton Patch. From Temple, we headed Northeast for Kilgore. I made a directional mistake in Palestine which put us on a path for Tyler. By the time I figured that out, it was too late to backtrack. The only reason we wanted to stop in Kilgore instead of Tyler is because we stopped in Tyler back in September when we came back to Texas. In Tyler, we pulled into a parking lot so I could look for a WalMart on the map for an overnight stop. Someone from the business came rushing out to let Carol know I could not park our motor home in their parking lot. He just would not listen to Carol as she explained we were only stopping for a few minutes to get oriented to our destination. Sheesh – some people. We found our WalMart but then could not figure where to park. I pulled up behind a couple of big trucks only to realize they were in a fire lane. When I called the store, the person I spoke to said we could not park in any WalMart period. OK, I’ll take my business elsewhere. Next we headed to #1 RV Park on the other side of town. At least we will not be hassled by anyone there. After driving 300 miles, we were hungry and tired. Dinner at Sweet Sue’s was so-so. At least a warm shower felt good and we enjoyed a good night of sleep. Tuesday AM, we drove to The Diner for breakfast. We stopped at this place last time we had breakfast in Tyler. This is still a great place to eat. 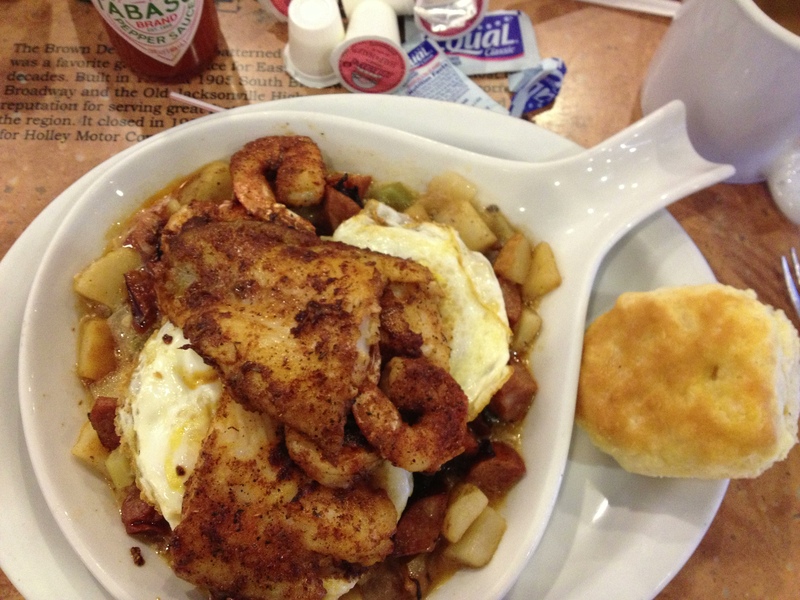 Yep, you are looking at Cajun style fish and shrimp on top of my eggs. WOW, The Diner really knows how to do breakfast. I highly recommend making a trip to this place if you are anywhere close. Since we had a long driving day on Monday, we decided to split the trip to Vicksburg, MS. Other than a rough 20 miles stretch through Shreveport, LA, I-20 was a great ride. Next time, I will take the loop around Shreveport. We stopped at Caney Lakes Recreation Complex in Kisatchie National Forrest just North of Minden, LA. We drove past some large, beautiful home just on the edge of Minden and wondered where these folks worked. Our campsite was very spacious. I am standing on the rock area of the site. The fire ring is to my right. Notice the driveway is very long. 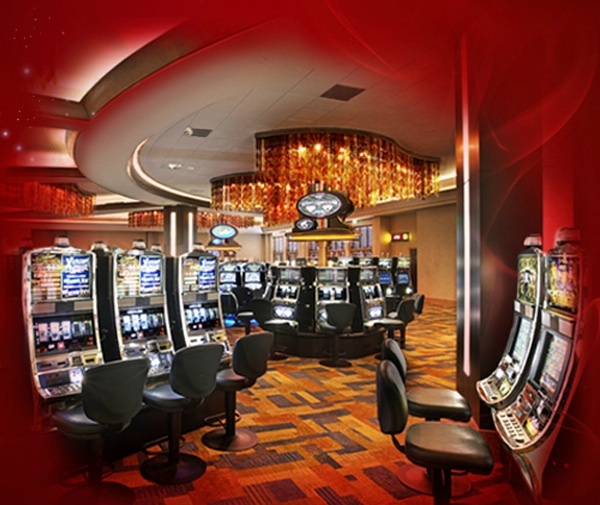 Wednesday AM we made the short 150 mile trip to Ameristar RV Park across the street from the Ameristar Vicksburg Casino in Vicksburg, MS. Thursday weather kept us indoors most of the day. We did venture out to drive through the historic area a Vicksburg. It is strange that mixed in with the old antebellum style homes there are several run down shacks so typical of houses in poverty-stricken areas. The last time we stopped there, we earned enough to pay for our trip from Blue Ridge to Texas. This time we made a deposit for our next trip. Tomorrow we should land somewhere in Alabama and Saturday we should be at Clear Creek Recreation Area in Bankhead National Forrest. The storm system has moved away from us so we should have a quiet evening and clear driving Friday. Once again, thanks for stopping by. Y’all come back now. 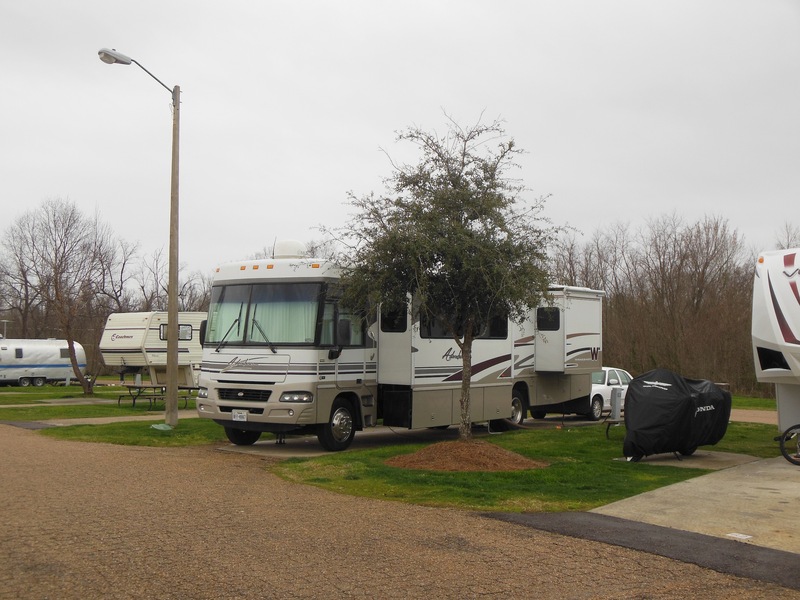 Continuing from our last post where we arrived at South Forty RV Park in Giddings. Jacquy/Raye, my brother and sis-in-law, came up from their farm in Burton on Saturday 2/18. While the weather was wet and dreary, their visit perked things up a bit. We also had a visit from our eldest daughter Michele and her son Jayson. We enjoyed Murhpy’s Steak House so much on Friday, we went back for lunch. After a long leisurely lunch, we headed back to South Forty RV Park. Weather was just too drizzly to enjoy the outdoors. After saying, “See ya later.” to my brother, we settled down for the evening. Michele and Jayson were planning to stay the night. Four hundred square feet of living space plus an active 2 y.o. whose napping schedule has been turned upside down makes for a big challenge for Mommy. No matter how hard Mommy an d G’Mee tried to get that boy to go to sleep, Jayson was just not cooperating. So, around 11PM, Michele and Jayson headed back to their home in Houston. About 10 minutes after they left, Jayson was playing with Mr. Sandman. Sunday the sun broke through the clouds. What a relief and what a beautiful day. We met Jimmie/Ollie, Carol’s aunt/uncle, at FBC. Following the worship service, we enjoyed lunch and chat at Subway. We got caught up on family happenings and had a chance to share a bit more about our adventure. Back at our home again, we saw signs that the Cedar Creek RV Owner folks (Harold, Ray, John, Jerry, Pete and their wives) were congregating around the fire ring. We were invited to join them for an impromptu brown bag supper so we did. After eating and cleaning up, we sat around the fire contemplating solutions to all the world problems. I am sure our elected officials would be interested in a transcript of that conversation. No, Carol is not scolding them here. Monday we packed up, hitched up and headed out with Carol at the wheel. We waved to all as we drove off. Followed US Highway 290 to Brenham. Drove through town to connect with TX Highway 105 north to Navasota. From there, we took TX Highway 90 to Roans Prairie, then TX Highway 30 to Huntsville. Time for a lunch break so we parked next to J.C. Penney’s in a shopping mall. 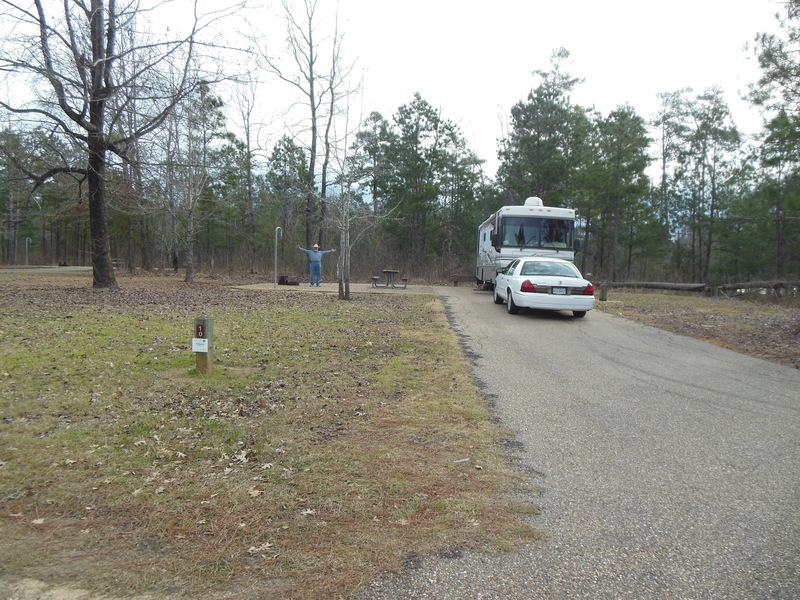 Connected to US Highway 190 in Huntsville and headed for Livingston, then took TX Highway 146 south to Rainbow’s End – an Escapee RV park on the south end of Livingston. This is where we have our permanent address. We got set up and went to town to get supplies to build the penthouse floor for Patches. No comments about dinner because it was not worth talking about. Behind the glass window is our mailbox. Tuesday we packed up again. (We are getting good at packing up). The Escapee’s park was conducting a trailer weigh-in from 8-10AM. We had no idea how much our new home weighs and that is something all RVer’s need to know. So, we got on the scales. Randy and Chris were the official weighers. First we weighed the truck with no trailer attached, then with trailer attached, we weighted the truck and trailer. I will get our numbers posted later. We are OK on the weight. Just need to do a little rearranging to redistribute the weight better. Got away from Rainbow’s End around 11:30M. Weather was sunny and temperature at 60 degrees. GPS took us through some nice quiet back roads away from the congestion and traffic. Stopped in Vidor, TX for lunch at What-A-Burger. Tricky part was parking. What-A-Burger does not have any RV parking. So I found a large lot behind FBC Vidor that had hook ups for 10 RVs. After walking the fur babies we walked a few blocks to What-A-Burger. After a short break, we continued on I-10. Crossed into Louisiana at 1:45PM. Pulled into Frog City RV Park a short while later. After getting nested, we hunted for cheap fuel. (If you have not used Gas Buddy on your smart phone, you should because it works.) Next on the agenda was finding a restaurant that served Alligator Po-boys. We found a place close (Fezzo’s) but they were closed due to Fat Tuesday celebrations. So was Chief Roy’s. We ended up at Randol’s in south Lafayette. Of course they were in party mode due to Fat Tuesday. Sadly, the food and service was not at all what we had expected. Wednesday we hit the road about 10:20 with cloudy skies with temperature at 67 degrees. Carol is driving the 200+ miles today. Other than cloudy skies with a light drizzle, and a very bumpy interstate that felt like driving on a washboard, nothing exciting was going on. Then we hit the Atchafalaya Swamp. Interstate 10 crosses the swamp on elevated pillars on a continuous 18.2 mile bridge from Grosse Tete, Louisiana, to Henderson, Louisiana, near at the Whiskey River Pilot Channel. Next came the granddaddy of all rivers. the might Mississippi. Of course traffic was getting heavy as we approached the bridge to cross the river. Carol does not like driving in this kind of traffic at all. She did fine and kept her cool. Sorry for the blurry images. It is hard to take a decent photo when the vehicle is moving and bucking at the same time. Next Carol has to get in the correct lane to be sure we are in position to make the switch to I-12. She made it with nerves intact. Of course I am helping with my super navigational skills. Time for potty break so Carol pulled off at I-65 into Petro Truck Stop and parked next to another traveler. Cody and Qianna took a little walk as well. Here they are nestled back in their spaces with Patches in the penthouse. Shortly after that, we crossed one more state line and are now in Mississippi. Twenty-eight miles into Mississippi, we are ready to head for our destination, Magic River Resort near Long Beach. I made the mistake of programming the GPS incorrectly and had to do a little fancy navigation to get our RV out of a tight spot. Yes, the stress level kick up a notch. 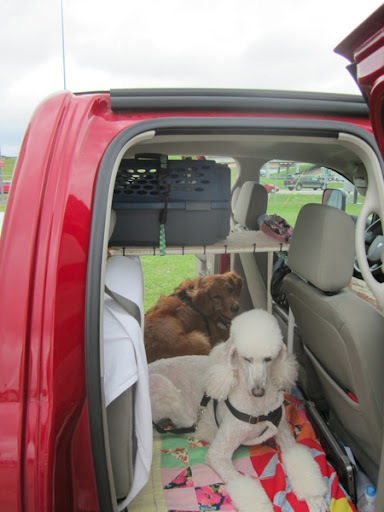 We got parked and nested quickly. This is our first 30A connection which works just fine. We hit a home run for dinner. The original plan was for Fried Shrimp in Gulf Port. I searched for restaurants featured on Dinners, Drive-Ins and Dives. We selected Darwell’s Cafe in Long Beach. We shared a Crab Cake Entrée with sides of Crawfish Étouffée and Shrimp Creole. For dessert, we had an Apple Bottom Brownie and a Peanut Brownie. This place had the best food since Murphy’s in Giddings. Take a look. Thursday we have a short drive to Rainbow Plantation. This is another Escapee park in Summerdale, AL. Here we are going to meet Darrell and Judy Patterson from Wandering America . We have been following them on their travel blog for over 5 years now. We planing on spending two nights there. Thanks for stopping by. Hope you enjoy the journey as much as we are.